Wait. Is this "classical music" or "folk music" or just an excuse to play tunes and have a beer? Why can't it be all three? Western classical music came out of folk music, and composers have paid tribute to folk music in the concert hall and in the church for centuries. A lot of our tunes come from collections of folk music like Calliope, or English Harmony (1739), The Hibernian Muse (ca. 1770), and The Caledonian Pocket Companion (ca. 1745) where music by Vivaldi and Handel is reset to silly words and placed alongside transcriptions of folk tunes. 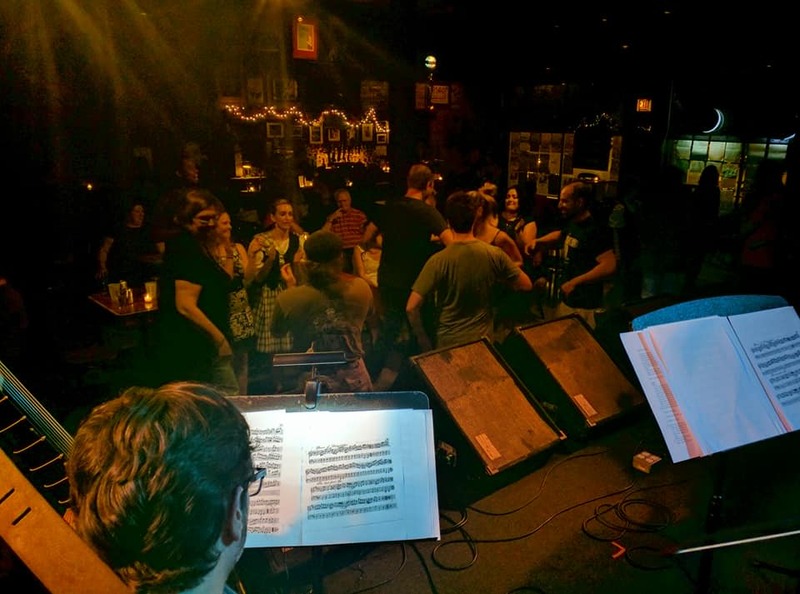 Other tunes we play include traditional fiddle tunes like Last Pint Ale or Bottom of the Punch Bowl, and we throw in favorite traditional sing-alongs like Drunken Sailor, The Wild Rover, and Nottingham Ale. Our promo video from 2016 when we went by our old name! Our appearance on the Up Late with Patti Vasquez show! Shots from Martyrs' Live, Big Bricks, Red Lion Pub, Baroque on Beaver Island Festival, Church or Beethoven, and Music on the Hill series. BBEaver is the official mascot of the A Gaelic Summer program. If you come to A Gaelic Summer show, you'll get to meet - and take a picture with - her. Check out her adventures in Chicago through our #followthebeaver campaign, and read the interview with her mom, artist, and crochet queen, Holly Nastenko.